Sorted is a community marketplace that helps you book local people to help with tasks. Sorted has a database of more than 12,000 Sorters across the UK who can be booked safely and securely whenever you need them. If you want to earn extra money you can also sign up to become a Sorter yourself. The app builds on the success of websites such as Gumtree, allowing users a faster, more localised service. The team is made up of James and Jade, who saw a niche in the UK market after researching how students with no expertise could make money. 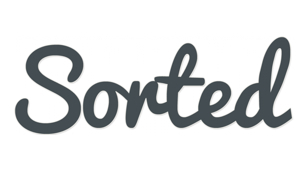 Sorted are also winners of Tech Entrepreneurs’ Week 2012 and have been featured in TechCrunch.